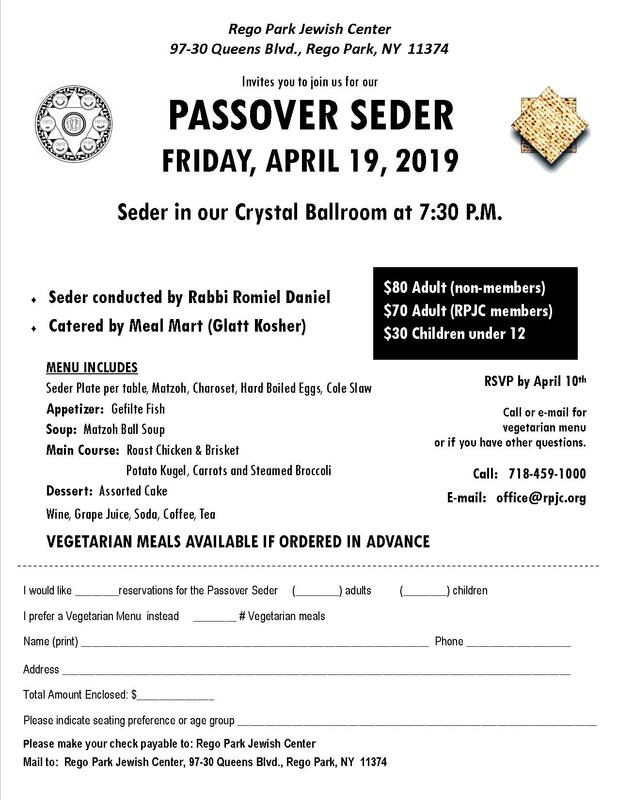 Friday night, April 19th at 7:30 P.M.
Seder conducted by Rabbi Romiel Daniel. 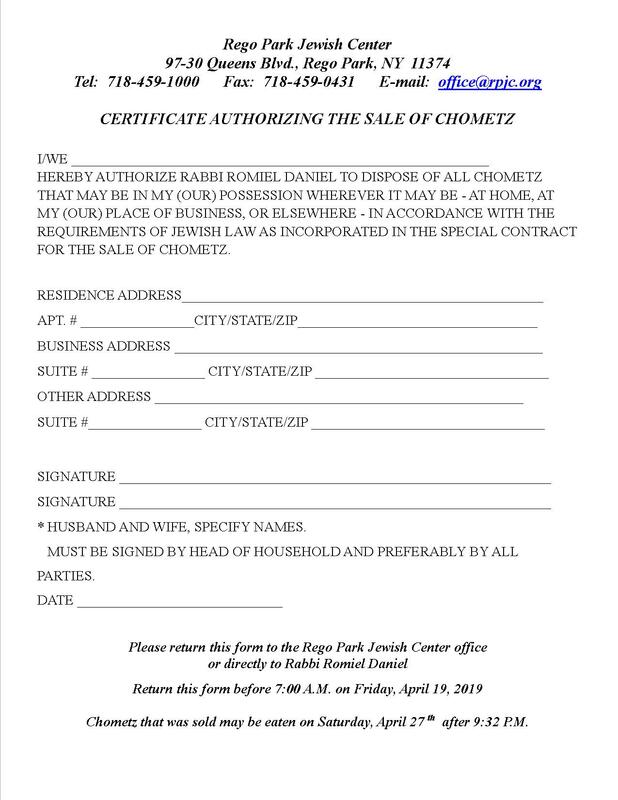 Call 718-459-1000 or email office@rpjc.org for information. Bring your materials and enjoy a pleasant afternoon knitting & crocheting. Hamantashen & Soda served after the Megillah Reading. “Time to Study Torah” - also known as the Parashat & Haftorat Club” - will meet on Shabbat, March 16th at 12:30 P.M. after services. Discuss parashat Vayikra with Rabbi Romiel Daniel and Charles Lehat. Lite lunch served. All welcome.